Fully adjustable and designed for stability, the SA20 safely cradles your violin or viola. 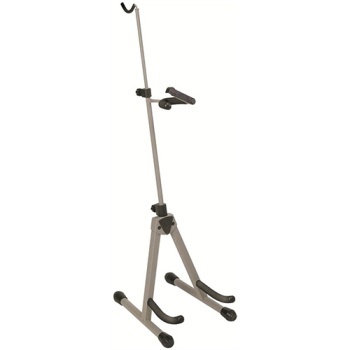 Comes with a convenient retractable bow holder and safety restraint for secruity. Folds up for easy storage or transport. Fits fraction or full size violins or violas.